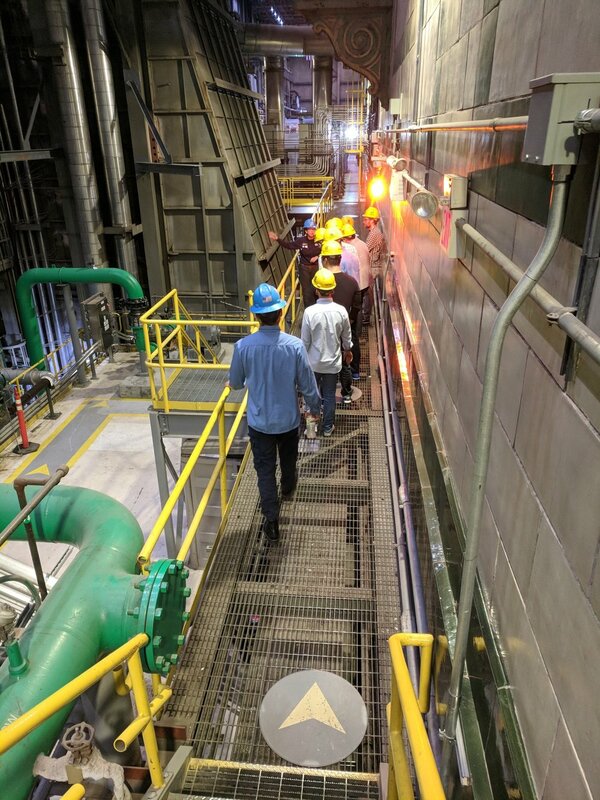 On May 4, 2018, members of the Stern Energy & Infrastructure Club went on a local trek to Con Edison’s East River Steam/Electricity Plant located on 14th Street in Manhattan. The plant serves customers ranging from households to hospitals to the restaurant industry by providing pure steam and electricity to the local grid. The attendees were treated to a tour of the entire facility, a technical overview of the intricacies of the plant processes, and a Q&A session dealing with the economic complexities of the utility industry. It was quite interesting to see such a large-scale industrial facility nestled in the busy streets of New York City. The club would like to thank the employees of the Con Edison East River Steam Plant and Zach Sussman (Stern ’18) for setting up the trek.